Nowadays, rooting of android smartphones seems to be a little bit compulsory compared to it's advantage after rooting. In this thread, I would be creating allowance for everyone of you to post your android smartphone model in other for it to be rooted. Before I get started, as a good heart person that I am, I wouldn't just keep my lips shut without telling you the risk in rooting your android smartphone, but don't bother about that because as long as you would be following my procedures, then you won't have a problem in rooting your android smartphone successfully. Before I get started, let me brief you on the advantages and disadvantages in rooting your android smartphone, then after reading through, it would be left for you to decide if to root it or not. - It runs special application, especially those in HD grafix and also much more beneficial apps that works on rooted device only. - It's also an advantage in terms of custom roms by speeding up the processing speed of your android smartphone. - It involve the risk of bricking your device. From the above effects of rooting your android smartphones as listed above, you would notice that there is no much disadvantage, and whereby we have a solution to bricked android smartphones, then lets gather courage and get our android smartphones rooted. So here's the thing, I have created another rooting solution thread, so I advise you visit the thread here, then drop your device details in the thread and I would give you feedback. First things first -- download the Samsung Kies software and make sure all the drivers for your phone on your PC are up to date. Back up all your contacts, photos and so on if you've already been using it, then disconnect your phone. Then grab Odin 3 and the rooting software CF-Root-SGS3-v6.4. Extract Odin 3 using WinRar or similar and run the install executable file to install it to your computer. Then extract the CF-Root archive file. The crucial file in here is a .TAR file which my computer confusingly showed with the same compressed file icon, causing me to try to extract it, which showed two files -- Cache.img and Recovery.img. If you see those, start again and extract the original archive just once. If you then open control panel > Folder Options and uncheck the 'Hide extensions for known file types' in the View tab and click apply, you'll be able to see that the file masquerading as an archive folder has the .TAR file extension. Perhaps put that file on your desktop so you know where to find it. Open Odin. You should see that all the boxes and windows in the program are blank. Click on the PDA button in the Files [Download] box in the bottom right-hand quadrant. That will open a folder browser window, letting you navigate to the CF-Root-SGS3-v6.4 .TAR file you extracted previously. Double click on that and it will load in the field next to the PDA button. You'll need to set your phone to go into 'download mode', which allows for files to be, er, downloaded and run on your phone -- it's a developer thing. Turn your phone off and wait for it to completely shut down. Press and hold the volume down key, the home button and the power button all at once and wait for a few seconds. It will then load and ask you if you want to enter download mode by pressing the volume up button -- which you should do. When your phone's in download mode, connect it back to your PC and you should see the word 'Added' in the message box in the bottom left quadrant of Odin. You should have the 'Auto Reboot' and 'Reset Time' boxes already checked. Take a deep breath and click Start. Odin will then go through the steps to root your phone and will show a green box saying 'Pass' in the program when it's completed. Your phone should then show a black screen with scrolling text (that's the rooting process) before it reboots back into the standard operating system you know and love. The first time I ran it, it didn't load into the root process, but instead rebooted straight into the Android OS. I simply ran step 4 again and it all worked fine. The download links posted at the above comment, just know ur 4n model and download the exact one..
You show goto settings on the phone –>Application: check unknown source; tap preferred install location, select internal device storage; tap development and check USB debugging and Allow mock locations. Goto file explorer on your phone and locate the poot application you downloaded above, click on it to instal. After installing open the installed poot application from your menu icon, i will request to download ministro services, download and install Ministro II library from Google play store. Now go back to open the poot application again, it will ask to update QT libraries, do that and your computer should restart automatically, if it doesnt restart it yourself. After the above step your phone should shut down automatically (if it doesnt restart your phone and repeat from step 5). After the phone goes off, it should come back, but if it does not you have to remove the battery and put it back, then start it. If every thing goes well then you should see an option to download super user and root checker (if not try the steps again till you see this two options. Now download and install the super user and root checker from the link on poot. How do I go about Gionee P2? Internet connection on PC and your gionee P2, Rooting tools and drivers. 2.Extract the content of ‘motochopper.zip’ to your desktop and execute the ‘run.bat’ file the file will guide you through the rest of the process. plz how can I root my samsung tab 2? please how can I root my Sony Xperia V running Android 4.3? :-? 5.Go to display settings and increase screen timeout to 15 minutes. 6. Connect your phone to computer via USB cable. 7. Now open the Easy Rooting Toolkit folder and double click the“runme”batch file depending on the OS of your computer. For example, if you are a Windows user, click on“runme_win.bat”file. 8. You will then see a cmd window, asking you to press any key. 9. Just obey it blindly and it will run the rooting script that will push SuperSU and Busybox into your device. 1.Using, your computer, download the Windows version of Revolutionary tool from this website: revolutionary.io (scroll down a bit until you see it). Remember to keep your browser windows open; you’ll need them later. 2.Extract the zip file to a new folder using Winzip/Winrar. 4.Open the extracted Revolutionary folder, then right-click on the file ‘revolutionary.exe’ inside (see above). 6.Take note of the provided key you see when running the program. 7.Go back to the original Revolutionary browser window, and fill in the information needed so you can get a second key. Use the HBoot number you got earlier here. 8.Type the second key into the text box labeled “Serial number”. 9.Once it says everything was successful, it will then ask if you want to flash Clockwork. Type in ‘Y’ to confirm. 10.Once completed, reboot your HTC Incredible S.
11.Check your phone once more using the procedure above to see if it’s already S-OFF. It should look like the image you see below. 13.Copy the downloaded file to the root of your SD card. Remember, don’t place it inside any folder since it needs to be located in the root to work. 14.Unplug the USB cable of your phone. 16.Hold the Volume Down button and press the Power button. Hboot will start. 17.Using the Volume Down button, scroll down the choices until you highlight “RECOVERY”. 18.Press the Power button to select that option and enter ClockworkMod recovery mode. 19.Then, select “Install zip from sd card” from the options on screen. 23.Pat yourself on the back (if you can reach it), you’ve finally rooted your HTC Incredible S! One friendly note: follow all the steps in turn to ensure that you do a successful root. If you follow everything correctly, I’m sure you will be rooted in no time. Also, remember to be careful when entering the serial numbers. They might have uppercase and lowercase letters, so make sure you get it right. Check here for any samsung galaxy S4 rooting procedure..
Samsung Galaxy s5 active please. Pls How can I root my HTC hero? Firstly, download the following file as located here. Proceed to download another file from here. Install it to the HTC device in question. To do this, connect it to the computer using a USB cable. Mount the device’s SD card by way of the HTC Alerts Menu. Proceed to install using the drive that Windows has just detected. Extract the two downloaded zip files into separate folders. 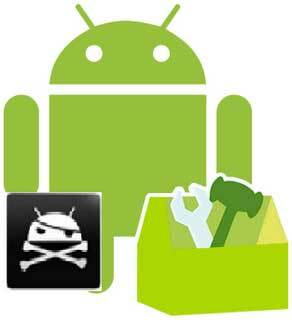 Head to the Android’s SDK folder and proceed to open the tools folder. Turn the phone back on while holding the back key. This will boot the fastboot screen, indicated by a white screen and three androids at the bottom. Reconnect the phone via USB if it was disconnected. Start, Run, cmd.exe on Windows. Change the directory to the tools directory that was created earlier. Run fastboot.exe boot boot.img.insecure while in the tools directory. The output should indicate it is downloading and booting. The device should now begin with root access. In order to access this, open HTC Sync by way of the phone’s alerts menu. Ignore the pop up message in Windows. Open cmd again and type adb.exe shell. The output should be a number sign. When the pound sign appears, run the following command: mount -o rw,remount -t yaffs2 /dev/block/mtdblock3 /system , which will mount the phone’s file system in the proper RW mode. Add the su command to the phone and run the following commands in shell, which is the pound sign, and make sure to run all commands separately. This will reboot the phone, loading its stock ROM. Enjoy. 4.The USB cable of your phone. 1.On your Android phone go toSettings > Applications > Development. go tosettings>about phone >then keep on tapping build number like 8 times , after that go back now and you will see the developers option. 2.Now click on the development icon and switch it on and then tick the USB debugging option (don’t mess with any setting there apart from checking the USN debugging option on). 3.Now connect your Tecno A+ to the computer via a USB cable select an option so that the computer will recognize your phone (USB storage or media device). 4.Now open/run Eroot, it should now display your phone as TECNO A+, ignore the Chinese writings. 5.You should see a green button with Root, click it and your phone will be rooting in a matter of seconds. 6.Now if you go to your menu items you should see superuser installed. 7.Restart your Phone and enjoy your rooted Tecno A+. Note:when installing the PDA.net when it ask for your phone model, select others and also make sure it is running when you are are doing the rooting process. Try to use this version of rootmaster, it would help.. Download it from here. How to root my cherry mobile flare S? 1. Download the necessary rootpackage here. 2. Copy the downloaded update.zip file to the top folder of the microSD card –do not extract it. 4. Put it into recovery mode – to do this, press and hold the volume up key + homekey (the middle buttonon the frontof your device) and press the power button until it goes into recovery mode. 5. Select Apply update from SD card and locate the update.zip file you copied to the microSD card. Press the volume up or down to navigate and then the power buttonto select the option. Your Galaxy Y should now be rooted!! How to root samsung s5? 27 August 2014 at 16:28 delete This comment has been removed by the author. Root master is unable to root tecno phantom z, and so also vroot, framaroot, kingo, towel root, one click root and virtually all the other root tools. Any ideas, please? Thanks. how can i root my nokia x platform 1.2? Root master is unable to root tecno phantom z, so also are vroot, towel root, kingo, framaroot, kingroot, one click root, and what have you! Please any way out? Can i root Asus Zenfone 5? Make sure that your device is left with the minimum of 50% battery life ad also you need to head over to the path “Settings > Security > to enable the Unknown Sources” option. Preferably, turn ON the “Airplane Mode” in your device till the process is completed. Download Zenfone Root APK from here to your computer and place the same in your device or alternatively you can also download this apk directly in your phone. Install the downloaded APK in your device which will be named as “Root Zenfone” and all you need to do is to just follow the on screen instructions for installing the same. Once installed, open the app and select “SuperSU by Chainfire” to Root or tap on “UnRoot” for unrooting the device and continue to the next step by tapping the appropriate option at the bottom portion of the screen. After this, a disclaimer window will pop up on which you need to tap on “Ok”. Now, just follow the on screen instructions for rooting the device and once rooted, you can also choose to tap on “Verify Root” option just to check on whether the device is rooted or not. Download the “Root Checker” app from the Google PLAY Store to check on whether the device is rooted or unrooted. Just in case if your phone gets stuck in the middle of the rooting/ unrooting process, make sure that all the apps are closed in the background and re follow the instructions from the start. How to root my Lenovo K900? 1. Download and unzip the file with the ROM with root and google apps. You can find the download link in “Download sources” at the end of this article. Unzip the file by entering the password “www.lenovohome.net” without quotes (it is recommended to decompress the .zip on the Desktop and rename it, because it’s in Chinese and the process may fail because of it). 2.1. IntelAndroidDrvSetup1.2.0 (if XP compatibility mode better). 2.2. iSocUSB-conductor-setup- 1.0. 2.exe (you must connect the phone and turn it off by pressing the power button for over 10 seconds and then on again). When you turn it on you will see that it has installed a new driver called “Colvertrail”. 2.3. Install ManufacturingFlashTool_Setup_6.0.2.exe in Adminstrator mode. 3. Run ManufacturingFlashTool to flash the phone. 4. Click on the XML file on firmware folder “flash DVT3 -CPU- sign”. 5. When a message appears saying “waiting for the device” turn off the phone by pressing the power button for more than ten seconds. 6. Connect your phone to the computer and it will automatically detect it and begin flashing. Wait until the process is complete. It can reboot after that and shows a message saying “waiting for device”, in any case do not touch or disconnect the phone. It may take a while. 7. When the process is complete unplug the phone and turn it back on. The restart may take a few minutes the first time, but now you have Google Apps and the program for root on the phone. 8. To get root privileges click the Settings button in the upper right corner of the device > Security > Auto answer > Allow. 9. Head to Play Store and update SuperSU program. Enable Superuser via Settings and into “Login” in “Default Access” select “Allow”, and into “Security” of the same settings select the “Enable Super User” option. 10. If the application reboot, reinstall and perform the same instructions from step 9. Please tell me how to Root my Itel i-note Beyond smart phone? Download the LG drivers and install them onto your PC (if you haven’t done so already). The LG USB drivers can be found at this link. Download the root package, and extract it to a folder onto the desktop of your PC. Title the folder ‘motochopper’. The root package can be found by following this link. How can I root my tecno g9 mini pad? I have Samsung galaxy S4 mini. Can I root it. how can i root Samsung s3 neo ? How can I root my Datawind ubislate 3g7 ? how do i root xperia E3 ??? How can I root my HP voice tab slate7 model no. HSTNH-B20C?? How to root cherry mobile jade ? How to root cherry mobile Jade? How to root my Droid Ultra running 4.4.4? How do I root my Droid Ultra running 4.4.4? How can I root XOLO Q600S. I have tried some onclick root like towelroot, framaroot but in vain, it will be grateful if u suggest me. How to root XOLO Q600S..
Make sure that your Xolo Q600s Android Smartphone has at least 50% of battery backup. Download and install the latest USB Drivers for Xolo Q600s on your PC. Download the root tool from here. Enable USB Debugging on your Xolo Q600s. Download the root tool from the link above and install it on your PC. Once the installation of the root tool on your PC is completed, run the root tool application from your desktop. Now, connect your Xolo Q600s to the PC. Wait for the root tool to recognize your Xolo Q600s. Next, click on the “Root” button which can be found at the bottom of the root tool window. The rooting process will now begin. Wait for the rooting process to end, and do not disconnect your Smartphone from the PC during the rooting process. Once the rooting process completes, manually reboot your Smartphone and then disconnect it from the PC. Congratulations, you have now successfully rooted your Xolo Q600s Android Smartphone. I really hope you found this easy tutorial on how to root Xolo Q600s useful. How do I root my zte rapid late for straight talk? how can i root my micromaxA34??? How can , I root huawei honor 3C international rom? I've got a nexus 5, root procedure plox? Thanks alot! How do i root my metropcs lg f6? Bros good morning.. what about rooting tecno P5 plus??? hot to root samsung S2?? check here for rooting procedure..
how can I root my Panasonic's t40 without PC? How to root micromax canvas knight cameo(a290). How to rooT LG G PRO 2 ANDROID 5.0.1? How to root Lg G Pro 2 F350L android 5.0.1? make use of the dingdong app, and it would be rooted. simply install stump-root app and use it to root it. How to root Samsung Galaxy S3. hey i have Samsung I9000 Galaxy S nd it had root access bt how can i take backup of default rom nd install custom rom like kitkat or anything?? ?